There are numerous causes of global warming. According to the Environmental Protection Agency (EPA), these causes can be divided into two primary groups: natural causes and man-made causes. While humans can do little to eradicate natural causes, it is possible to reduce or eliminate man-made causes. Natural causes have been contributing to global warming since before recorded history. Natural causes alone are not substantial enough to result in the climate changes currently taking place on the planet, according to the EPA. Increased solar activity changes the Earth's solar radiation levels, thereby causing short-term warming cycles, as outlined by the National Aeronautics and Space Administration (NASA). Sunspots are dark patches on the sun's surface that block hot solar plasma. Although this blocking action might appear to reduce solar radiation, the opposite is true. Surrounding sunspots are bright patches known as faculae. These patches give off greater than normal radiation, and they are more powerful than the darker, cooler patches. This means that the total average energy over a 30-day solar rotation increases. Permafrost, which is solid, frozen soil, constitutes about 25 percent of the land area in the Northern Hemisphere, according to the Environmental Defense Fund (EDF). Until recently, permafrost has locked carbon and methane beneath the surface of the planet. In some areas, permafrost is now emitting carbon, which the EDF states could potentially accelerate the greenhouse effect and global warming by increasing the concentration of atmospheric carbon. Water vapor is increasing in the atmosphere due to carbon dioxide-induced warming as indicated by NASA. Approximately two-thirds of the heat trapped by greenhouses gases is contained in water vapor, according to NASA. As the average temperature on the planet continues to rise, the amount of water vapor rises in turn. Most man-made causes of global warming result from an increase in greenhouse gases, which are gases that trap or absorb infrared radiation emitted from the planet. According to the EPA, carbon dioxide is the most significant cause of global warming, and most carbon dioxide emissions result from the burning of fossil fuels. Each time a fossil fuel burns, carbon dioxide levels in the atmosphere increase. Carbon dioxide absorbs infrared energy emitted from the earth, preventing it from returning to space. Electricity Production: Electricity generation through the burning of fossil fuels accounts for 40 percent of carbon dioxide emissions in the United States, according to the EPA. Coal is the largest producer of carbon dioxide emissions, giving off nearly twice as much carbon per energy unit as natural gas. 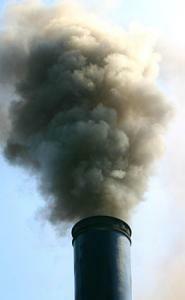 Automobiles: Carbon emissions from the burning of gasoline to power cars, trucks, and other methods of transportation is one of the leading global warming causes in the United States. The pollution created by cars and trucks constitutes nearly one-fifth of American emissions, according to the Union of Concerned Scientists (UCS). All living plants are capable of storing carbon, but as the number of plants on the planet declines, the amount of carbon dioxide free to build up in the atmosphere increases. Moreover, decaying plants give off stored carbon, thereby releasing a large abundance of carbon into the air during the clearing of forests or grasslands for building purposes. The Food and Agriculture Organization of the United Nations indicates that 30 percent of greenhouse gas emissions can be traced to deforestation. 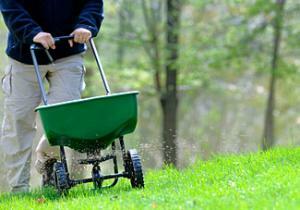 Each time humans add fertilizer to soil, nitrogen oxide escapes into the atmosphere. When it comes to atmospheric warming, a pound of nitrous oxide is 300 times worse than a pound of carbon dioxide, making fertilizer use in farming one of the leading causes of global warming, according to the EPA. Mining oil and coal allows methane, a greenhouse gas, to escape from the earth. Any time the soil is disturbed, stored gases make their way into the environment. According to the Clean Air Task Force, eight percent of all methane emissions can be traced to coal mining. Global warming is the increase in average temperature of the oceans and atmosphere, both observed and predicted. The surface temperature of Earth depends on a balance of incoming and outgoing heat. When outgoing heat, or energy, exceeds incoming energy, an ice age occurs. Global warming results when incoming energy levels are greater than outgoing energy levels. Global warming can potentially affect every aspect of life on Earth as outlined by the UCS. Higher average temperatures will cause changes in plant and crop life, which can decrease worldwide food supplies. Warmer polar winters will result in melting sea ice, which will cause a rise in sea level. Warmer temperatures will also increase evaporation from large water bodies, which in turn will increase cloud formation and rainfall amounts. Other potential effects of global warming include more frequent hurricanes and higher rates of some diseases, such as malaria. The steady rise in the global population is going to make the underlying causes of global climate change worse, making things even more difficult for an increasingly large number of people. Scientists have spent several decades studying global warming in an attempt to predict what changes will occur in the future and determine how man can slow or stop these changes from taking place. Unfortunately, no one can directly stop the natural contributors to global warming. By taking steps to reduce your carbon footprint, you can help prevent global warming by decreasing the environmentally devastating effects of man-made causes.